Clan Donald Auckland continued the programme for funding to cover the cost for equipment and scholarships. The second of these fund-raisers took place on Saturday the 13th of April at Bunnings Warehouse in Mt Roskill. It is a great help that Bunnings have a policy of supporting charitable organisations in their fund raising. This session was to cover the cost of a cover for the trailer. The trailer is used to transport the pavilion and other equipment to and from the various Highland Games. Clan Donald were on site from 8.00am till 4.00pm. 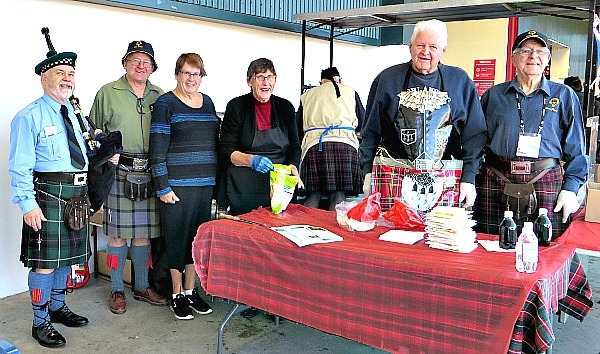 The Clan Members, led by the President Barrie Paterson and his wife Annette, were Murdock McDonald, Trevor Pollard, Laurie and Marlene Mathews, and Tom and Lynnette McDonald. 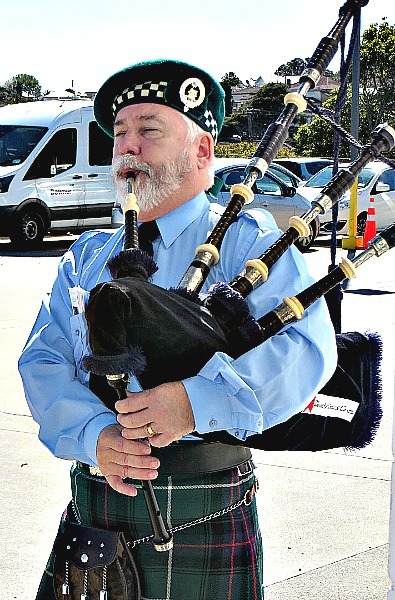 Andrew Wilkie was the piper for the whole day, taking a five-minute rest periodically to catch his breath. 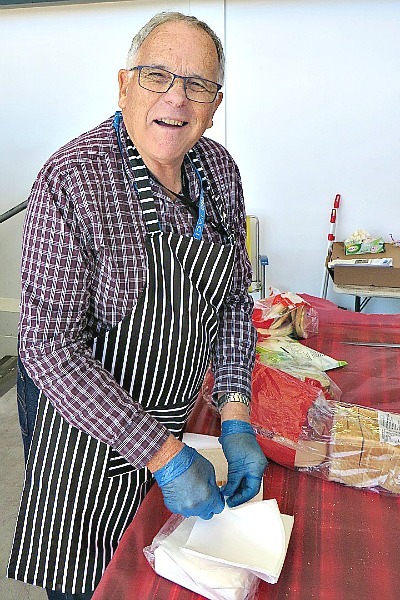 It was a very successful fund raiser with 450 sausages cooked and sold for a very worthwhile profit. Further Sausage Sizzles are planned and the earnings will be targeted to providing scholarships. From the left, Andrew Wilkie, Tom & Lynnette McDonald, Annette Paterson, Murdock McDonald busy in the background, Trevor Pollard and Barrie Paterson. Andrew Wilkie did a fantastic job, piping during the day. Laurie Mathews all ready to serve the customers. 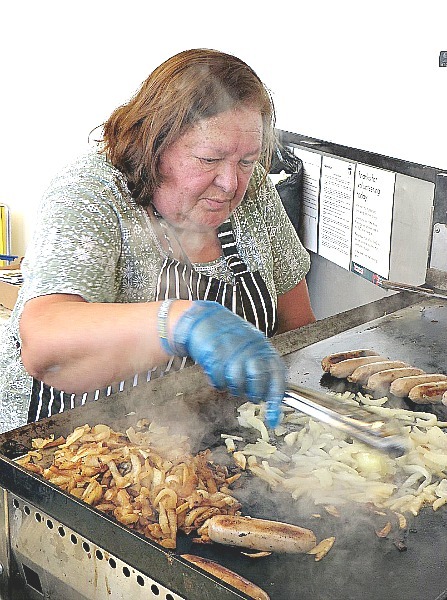 Marlene Mathews preparing the onions to go with the sausages. 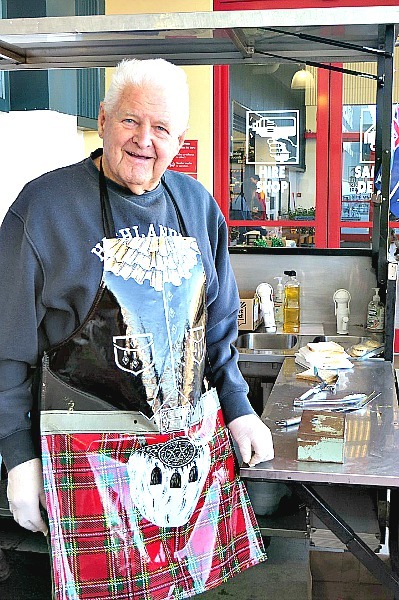 Trevor Pollard ready to welcome customers.